Established in 1949 by Betty and Edward "Buddy" Benson, Benson Garage Doors has been in continuous operation at their original location. 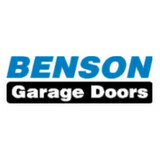 Benson Garage Doors is currently operated by our family's 2nd generation, including Mary Benson Myers, Patty Benson Wright, and Paul Edward Benson. Matthew Myers, a 3rd generation in our family, has been our installer and service technician since 2002. Benson Garage Doors has experienced technicians and top quality products at fair prices. We do our best to go above and beyond in providing good service and standing behind our products. With our years of experience, our technicians can handle unique garage situations. Let our team be your “problem solvers”. 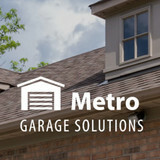 Leo Garage Doors is the company to go to for your residential, commercial, and industrial garage doors. From rolling doors to overhead doors and everything in between, we have exactly what you’re looking for. We are conveniently located in Virginia and work throughout the Washington DC metropolitan area. For over 20 years, Leo Garage Doors has serviced our thousands of satisfied customers with experienced and professional design, installation, and repairs. Our highly skilled professionals are committed to bringing you the best value for your money. We provide the utmost in care, safety, security, and functionality. View our customer testimonials and you will see why our company is the one to help you get the job done right. We offer a wide range of garage door options. You can choose from our stock options or design your own garage doors. From window designs and color options that match your aesthetics to the safety and security options your home or business needs, we have the garage doors to fit your exact needs. 24 Hour Locksmith Support in Poolesville, MD If you are looking for a Locksmith company in Poolesville, MD, you may have reached the best place. We, in Poolesville Locksmiths, are working with the most professional, trusted and honest techs that will actually offer you the ideal assistance you can get. Our main priority is definitely the customer's satisfaction, and we will make sure you will feel protected along with our work. We're also working with products of the finest quality coming from the top companies and suppliers, therefore our job is going to be as effective as it can get. 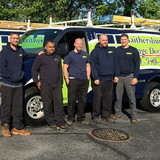 Our professionals in Poolesville Locksmiths come with high quality toolkit in order to produce the work they do as professional as they possibly can, with no waiting times related to their equipment. We believe that the great tech is not only the one that learned and attained experience of the locksmith area, but also the a person that could fix any problem, also to advocate unique solutions to any issue, when he owns the instruments to take care of it instantly. That is the reason we are equipping our staff with more comfy, excellent resources and techniques. Fairfax Locksmith provides fast, reliable and professional locksmith for the residential, commercial and automotive locksmith needs in Fairfax, VA area at very affordable prices. Our technicians are fully insured, bonded, licensed and certified with more than 10 years experience. If you require any types of the locksmith for your home, car or office, then you can call us today at (877) 704-1146 to get an immediate response. We are available in Fairfax 24 hours a day, seven days a week and 365 days a year to serve you. Eastern Garage Door Systems is your local, full-service garage door repair and installation company in Fairfax, Virginia and all surrounding areas. 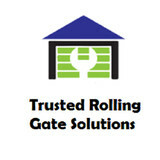 We are here to provide our community with any and all expert garage door services. 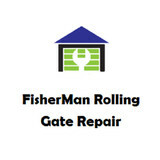 Our highly skilled, expert technicians are here 7 days a week, to repair all problems, the same day you call. Eastern Garage Door Systems technicians work quickly, leaving you safe working garage doors that will cause you no more problems.